The Marbles are well known to serious Bee Gees fans for covering a number of Bee Gees compositions, as well as being produced by Barry Gibb. Those expecting a sort of Bee Gees Jr., however, will be sorely disappointed by The Marbles' sole, eponymous album, even if five of the 12 tracks were penned by the Brothers Gibb. It's a far more blustery, orchestral brand of pop/rock than the relatively tender one mastered by the Bee Gees in the late '60s, even when they're doing some songs the Bee Gees themselves recorded back then (like "I Can't See Nobody" and "To Love Somebody"). Most blustery of all is Graham Bonnet's overbearing voice, which sounds a bit like a cross between Tom Jones and the Righteous Brothers, painting mental pictures of some tuxedoed guy sweating it out on the northern England cabaret circuit, his bulging neck muscles turning red with the effort. The pop and soul covers -- including "A House Is Not a Home," "Storybook Children," and "Breaking Up Is Hard to Do" -- are rendered schmaltzy by both the vocals and arrangements. 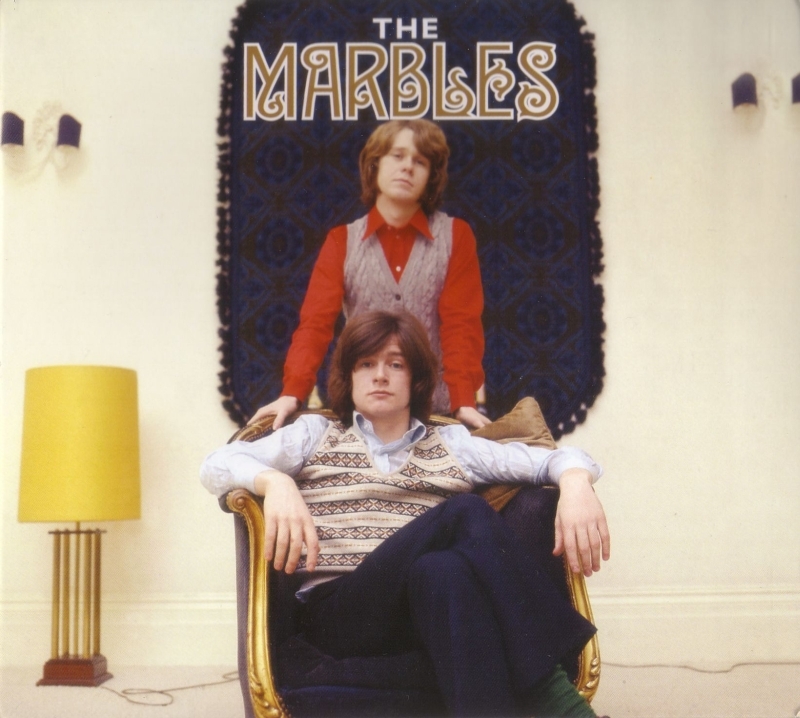 The Marbles' few attempts at their own songwriting (numbering only three) are better though not great, convincingly emulating the bittersweet aspects of the early Bee Gees, though sometimes with even more ornate orchestration than the Bee Gees employed. It's of most interest to Bee Gees fans, though, for the inclusion of three Brothers Gibb compositions the Bee Gees didn't record at the time on their own records: "Only One Woman" (a number five British hit), "The Walls Fell Down," and "By the Light of a Burning Candle." They're characteristic of the Bee Gees' late-'60s style, but given such a bombastic treatment that you can't help wishing that the Bee Gees had done them instead. The 2003 CD reissue on Repertoire adds six bonus tracks, including mono single versions of four tracks from the LP and two 1969 B-sides.